WHAT MAKES OUR CLASS UNIQUE? Start your morning at a Malaysian home just 20 minutes away from the heart of KL. I will welcome you with a glass of flower tea and delicious appetiser from the garden. 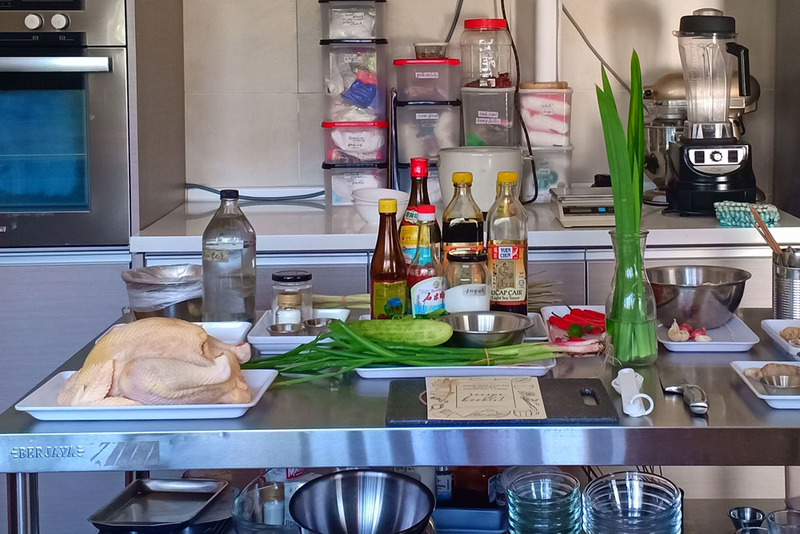 Before we cook, we will explore my organic edible garden with over 50 herbs, spices, and flowers used in everyday Malaysian cooking. We will see, touch, smell, and taste a variety of local plants like blue flower, curry leaves, and turmeric. 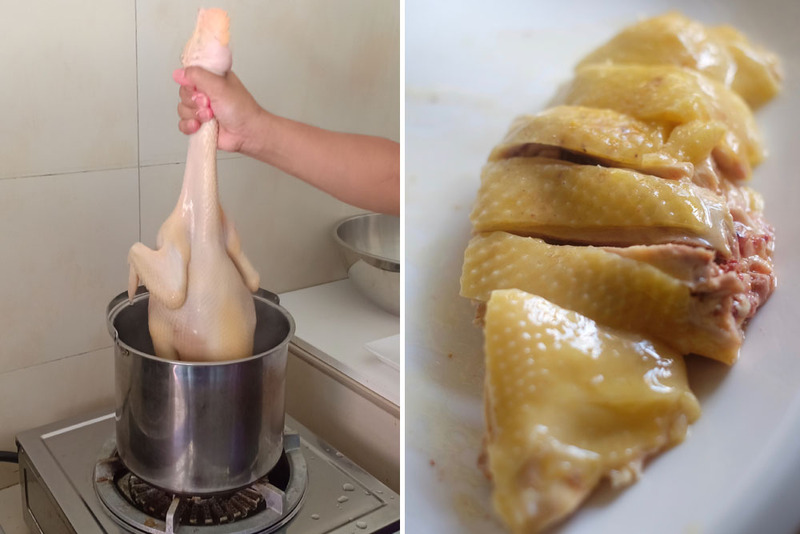 With my expert guidance, we will poach the whole free-range chicken to make chicken stock and dip it in a bucket of ice. Then, we will pound fresh spices into paste using a stone pestle and mortar belonging to my grandmother. Finally, it's time to enjoy a delicious meal we made together and chit-chat about Malaysian food, culture, and lifestyle. 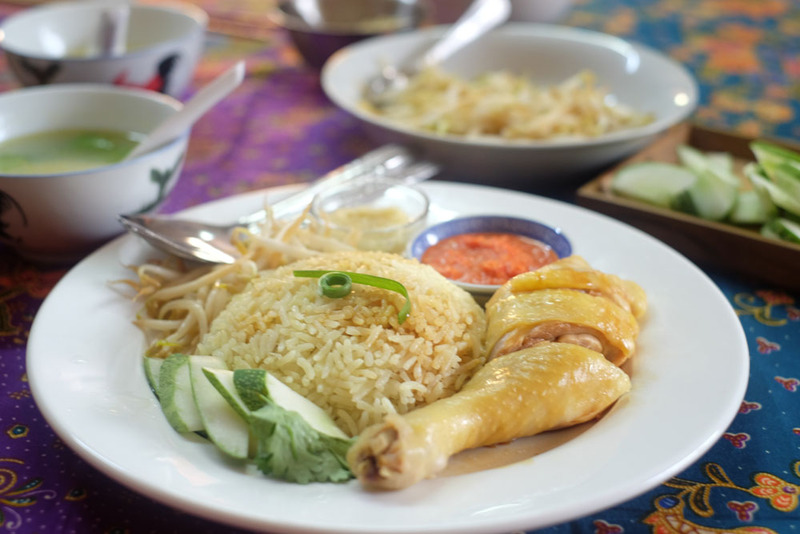 You will leave with a full stomach, knowledge of Malaysia's food and plants, cooking skills, and a recipe booklet so that you can cook Malaysian food for your family and friends back home! 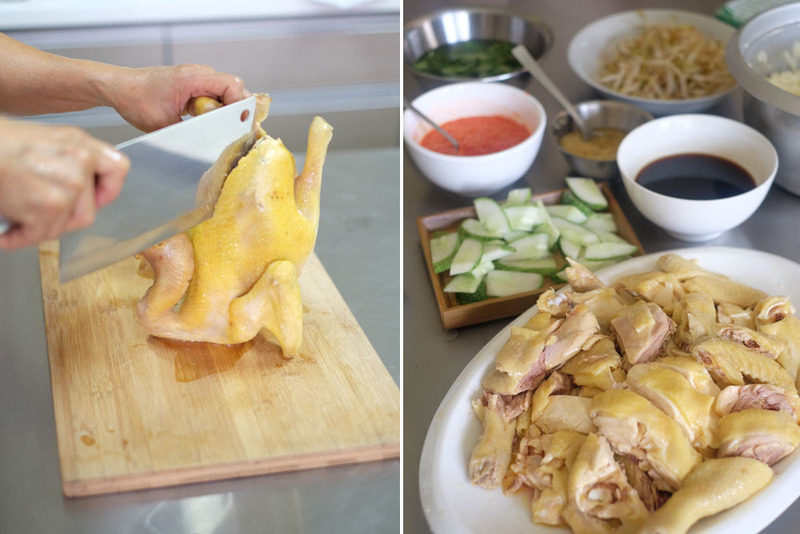 What makes ‘Hainanese’ chicken rice different from ordinary chicken is its juicy skin. 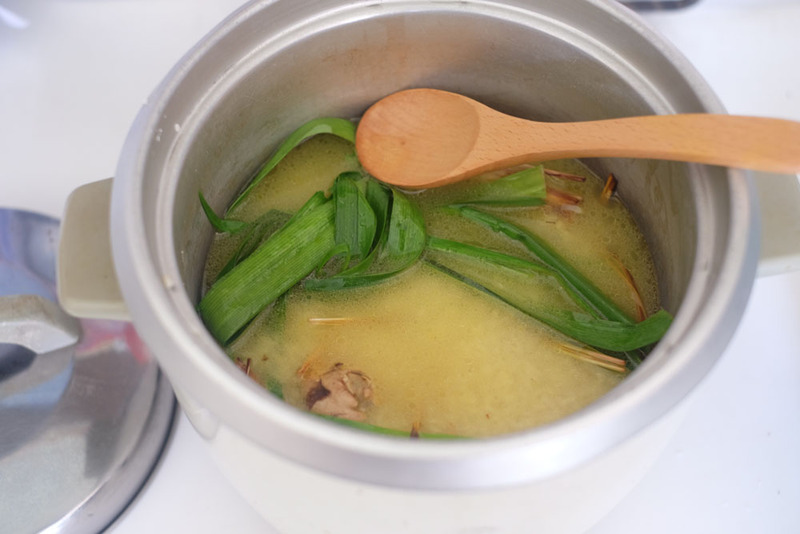 The chicken is poached in chicken soup and then bathed in ice water to create a succulent skin. Yes, we will dip a whole chicken into the pot and then transfer into an ice bucket! 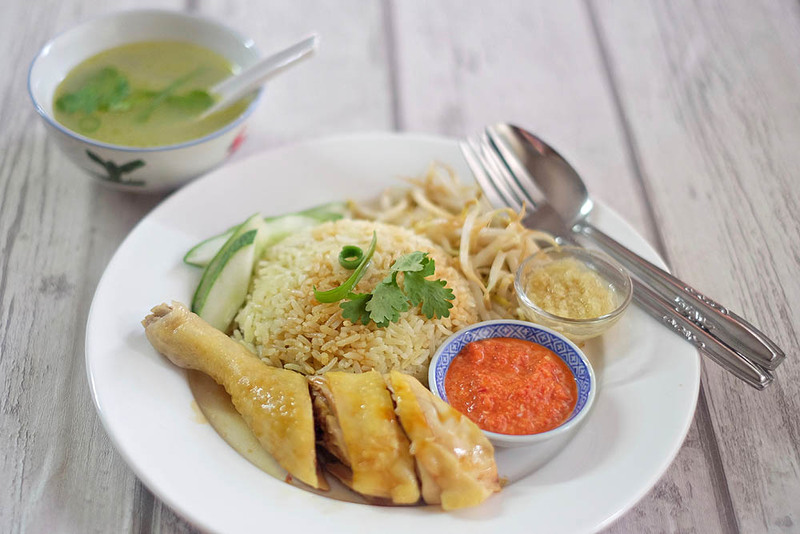 This meal is only complete with aromatic rice ’yau fan’ cooked with pandan leaves and other secret ingredients; chili sauce; ginger condiment; chicken soup; and seasoned soya sauce. We also offer pick-up from and back to your hotel at an additional price of USD 25 (RM 100).